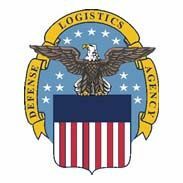 US / Canada Joint Certification Program - Saitech Inc.
We are a certified contractor approved by the Defense Logistics Agency. Saitech Inc is a Certified Small, Minority business Value Added Reseller government Contractor for last 12 years serving US Government, DOD, DLA, US Navy, US Air force worldwide. We specialize in the service, repair and maintenance IT industry and have supported many private and government organization in their IT Systems life cycle management. We are approved members of GIDEP and actively support on Diminishing manufacturing sources and material shortages (DMSMS) related technology issues worldwide. We understand the terms and requirements of working as a Sub Contractor , operating under a Federally funded Prime Contract. Thereafter we also understand and meet all the requirements and conditions under the International Traffic in Arms Regulations (ITAR) or the Export Administration Regulations (EAR). We have a strict implementation of all the rules and regulations as required by the Department of Commerce.